The news seem to come as a total surprise to station workers. On Twitter, DJ Carolyn Keddy said, "Just showed up @kusf to my show and the doors are locked. USF has sold the station. Management was in on it. They're keeping all our records." USF also said in its statement that all workers would be offered their jobs in the online-only era. We'll update with more info as we get it, but the SF music community is already reacting with sadness about the loss of the long-running staple of the scene. As musician Chuck Prophet noted on Twitter, "The apocalypse is here. Still reeling over KUSF being sold off." The station says an impromptu demonstration is planned for 7 p.m. tomorrow. At 10 a.m. this morning, Irwin Swirnoff, a DJ and music director at KUSF, was doing some volunteer work in the station when he heard an alarming thing: silence. Or rather, the sound of static as USF, per an agreement with USC-owned Classical Public Radio Network, cut the transmitter. 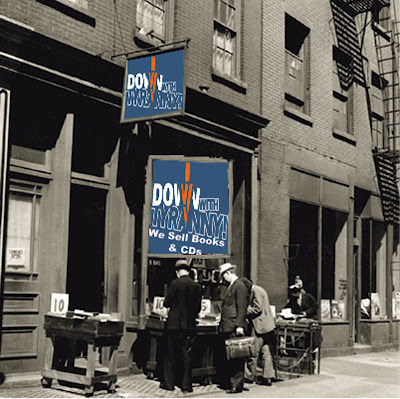 To those present at the station, including the on-air DJ, Howard Ryan, it seemed that no one had been given warning of the sale. "The hallways filled with people in suits, and others started to change the locks," said Swirnoff of the scene immediately after the transmitter stopped working. He, along with other station workers, didn't mince words about their feelings towards USF. 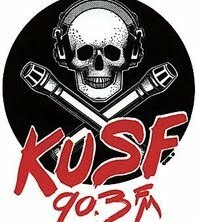 "The university had been keeping this from us, hadn't involved us at all," said Swirnoff, speaking from the work room of KUSF, where he and other volunteers have been frantically pulling records of past ticket winners and music press, trying to get the word out that KUSF had been unfairly brought down. University spokesman Gary McDonald affirmed that USF had kept information about the station's sale-- which was a $3.75 million deal-- quiet, but said that two of the four full-time workers did know about it. Discussions, he said, had been taking place for the past few months. "The papers were signed on Friday," McDonald said. He cited confidential legal reasons as the cause of USF's silence to the station's volunteers. 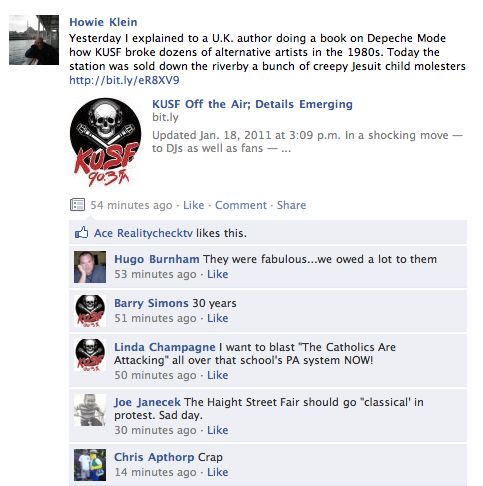 Last week I had been talking with British writer Simon Spence, who's working on a book about Depeche Mode, about KUSF's role-- though only a low-power, noncommercial college station-- in breaking the band in America. We could have just as easily been talking about REM or U2 or a dozen other bands that went on to achieve multiplatinum status whose first records had no natural radio homes other than a small handful of adventurous college stations like KUSF. I know that these corporate elites have all the money and lots of influence-- even, it appears, with President Obama’s Department of Justice and an FCC chaired by one of his appointees. ...Remember, we can only stand up to the financial power of the corporate special interests with people power. The Federal Communications Commission and the Department of Justice okayed the merger of Comcast, the nation’s largest distributor of video services, and NBC Universal, Inc., one of the nation’s largest producers of video content. In approving this merger, these agencies ignored their mandates to protect the public interest and preserve competition and, instead, caved to an all-out lobbying campaign by Comcast and its political allies. Commissioner Michael Copps, who has long warned against the dangers of media consolidation, was the lone dissenting voice at the FCC. Needless to say, I am deeply disappointed in this decision. At a time when a small number of giant media corporations already control what the American people see, hear, and read, we do not need another conglomerate with more control over the production and distribution of news and other programming. The mega-merger of Comcast and NBC Universal will lead to less local news coverage, fewer points of view, and reduced competition for viewers and advertising, not just in Comcast’s network but throughout the country. The merger will also make it harder for consumers to afford cable programming. According to the FCC’s former chief economist, consumers will pay $2.4 billion more in cable bills as a result of the merger. As the country struggles to recover from the worst economic crisis since the Great Depression, I find it unconscionable that millions of consumers will spend more for less, paying higher rates while receiving virtually no tangible benefits. How much poorer the culture would have been without a KUSF! One high school kid who worked as a dj there went on to help create iTunes. How much poorer will we all be while the Jesuits are using their $3 million-plus to pay off the claims from lawsuits of the once-young boys they habitually molest! a sad day for music for freedom and for those of us who get a paycheck today because of what we learned at KUSF. There aren't very many instances where I am all for vitriolic response, but this is one. I think USF deserves every bit of fury that comes there way after this cowardly, vapid move. I'm so angry I could spit. Benchley Tonight: "A Little Sermon on Success"